Tiered pricing is really common in hair salons. When it comes down to it, it’s essentially a simple rule of supply and demand: stylists and therapists who are more experienced and in demand can be priced higher. Those just starting, or who aren’t as experienced, command a lower price. If you don’t currently use tiered pricing, I’d love to hear your thoughts as to “why not,” after reading my top 3 reasons for being an advocate of the strategy. This is especially true for millennial employees. You want to make sure that they are both progressing and feeling motivated. That you can coach them to achieve their objectives. Tiered pricing is a simple and easy way for employees to see that you have clear business goals and that there are opportunities for growth in your salon. You want to make sure that you set clear targets, so your employees can see when they’ll be moving on to the next stage or tier. Of course, such a ‘promotion’ will most certainly be tied to the idea of growing their basic salary pay or rate of commission. And by doing so, it will show that as a salon owner, you have complete control over your business and that you care about your employees’ long-term progression. Not only will tiered pricing help retain staff, but it’s also a way for you to reward individuals who make big contributions or who consistently hit targets. Employees who show potential by progressing quickly into different tiers should also be rewarded in the same way. Well performing employees should get an equivalent job title and salary package that reflects their hard work. Whenever I think about cost-based pricing without tiered pricing, I think it’s easy to find ways for your costs to run out of control. Let me explain. First, imagine having two employees with different levels of experience and salary packages charging the same amount for their services. One employee has been with you for some years and is an integral part of your business. Chances are that this employee has had a number of pay increases over the years. On the other hand, you have a junior employee who has been with you for only a couple of years. This employee is most likely trying to improve his/her skills and build his/her career. With a single tier pricing strategy, you charge the same amount to your customers for two therapists with different levels of experience. What’s more, as a salon owner, you have unwillingly created an incentive to steer clients towards the more experienced employee: he/she’s more ‘expensive’ and needs to be fully utilised. It’s not the most rewarding salon business strategy, and it builds an unfair disadvantage for your junior employees because they get fewer chances to build a strong clientele. In salons and spas, tiered pricing levels the playing field for everyone. Let that senior employee charge more for her services – she deserves it. Give the junior employees a break by being a little less expensive. This strategy will also help retain the loyalty of customers who prefer lower-priced services and save a few when it is time to increase your prices – you have more junior staff who you can refer the clients to. New Challenge Alert — Click on the image to sign up for the #SalonRetailWeek; let’s give your retail game the boost that it deserves! Starts August 20th, 2018. As a business consultant, I get flown into all sorts of places to give salon owners advice and financial analysis. These types of things usually revolve around pricing, targets and commission rates. Recently, I was with a client talking about pricing. Something I noticed is that some of her more senior employees were being booked out for quick services that required little experience. As a result, it was making it impossible for the salon owner to increase her profits meaningfully. Let alone pay the senior employee any kind of commission for carrying out the treatments. With salon tiered pricing, you get a lot more control over who can be booked for what and can prevent services that require little experience from being done by senior employees. As such, it helps increase your profits and ensures that you’re passing on reasonable costs to your customers. You will make more money by not leaving money on the table. If your customers are willing to pay more for your services, why would you charge one specific amount? Make sure that you are always maximising your profits. You can reach more customers with tiered pricing. If you offer different prices, you can attract and reach more customers. You will create a low barrier of entry for new customers. Your salon customers who opt for the cheaper priced services are easier to convert to high-paying customers. Providing options to your clients will always ensure that they have the flexibility they need. You are providing in-house options. Some customers love to price shop. While not all of them will be your ideal clients, tiered pricing can help you attract those who are, but have less disposable income. I’ve said it again and again. Running a small business is tough. We might have very few advantages over the big guys, but one important difference is our ability to change. Frequently and rapidly. If you set your mind to it, you could research tiered pricing and implement it in a couple of days. Bigger competitors envy small businesses for that! They have three tiers of hierarchy to go through and a slew of meetings before they can make any meaningful changes. Don’t forget. This is a pricing strategy; it’s not a contract written in blood! If you make a change in your salon and it doesn’t work, change again. Try something new! Set targets and a cut-off point. If the changes you make don’t get you closer to your targets after a fixed amount of time, pivot. And have fun! Before you go, find out how you too can get December numbers in April, click here! Featured image shot on location of David Ryan Salon, in New York City. © 2018 Phorest Salon Software. 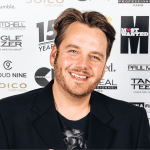 Phil Jackson is an entrepreneur, the owner of Award-Winning Salon ‘Bravo Hairdressing,’ and a Salon Consultant and Author with a passion for the Salon Industry (BuildYourSalon.com). Drawing on 20 years of salon experience, Phil’s writing is informed, direct and imbued with his desire to help salon owners work smarter, sleep more soundly and enjoy the profits they really deserve. You can book a free mentorship consultation with Phil over on salonmentors.phorest.com. - Google Analytics to collect anonymous information such as the number of visitors to the site, and the most popular pages. - Hotjar to collect anonymous information such as the most used areas of a page. - Pingdom to notify us of website performance. - TypeKit to serve our custom font.